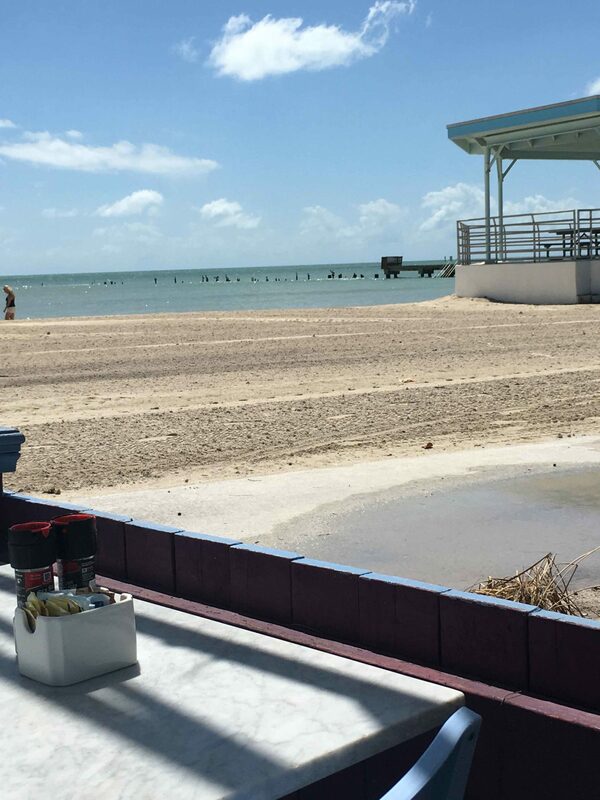 Key West is a place at the end of the world. It’s at the end of A1A and the end of the Continental United States. 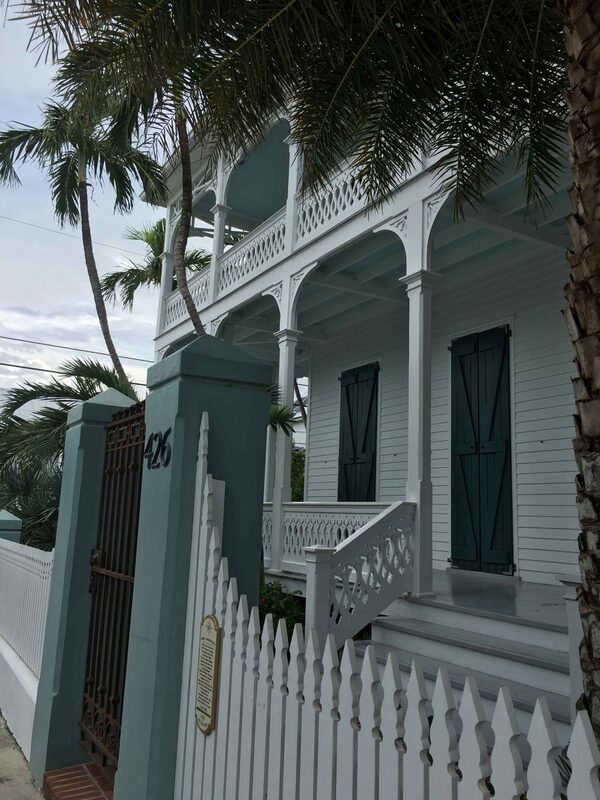 There is a vibe that is Key West. 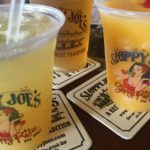 Sloppy Joe’s is iconic Key West. 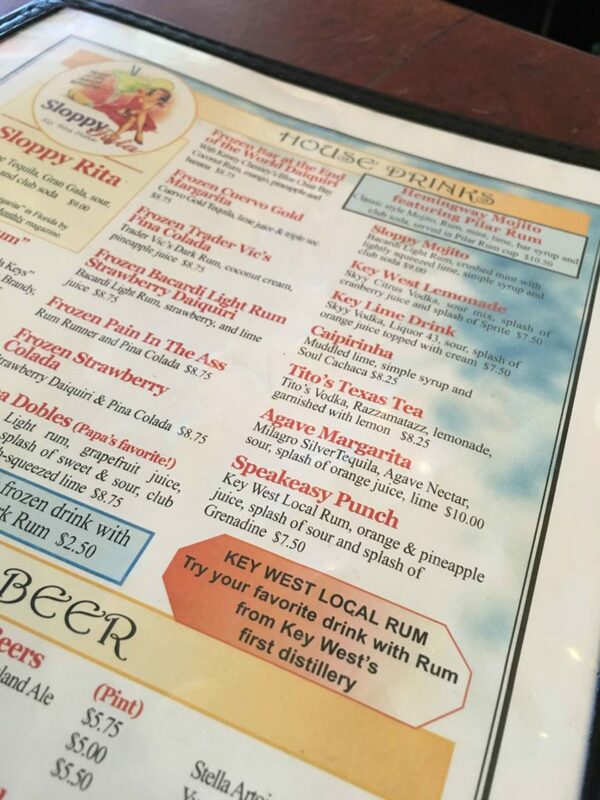 It’s old school, it’s tradition, it’s Key West. They offer drinks that are top notch and food that is great. First, it’s a bar. The place actually has two bar areas. Park yourself at a stool at the bar or at a table. 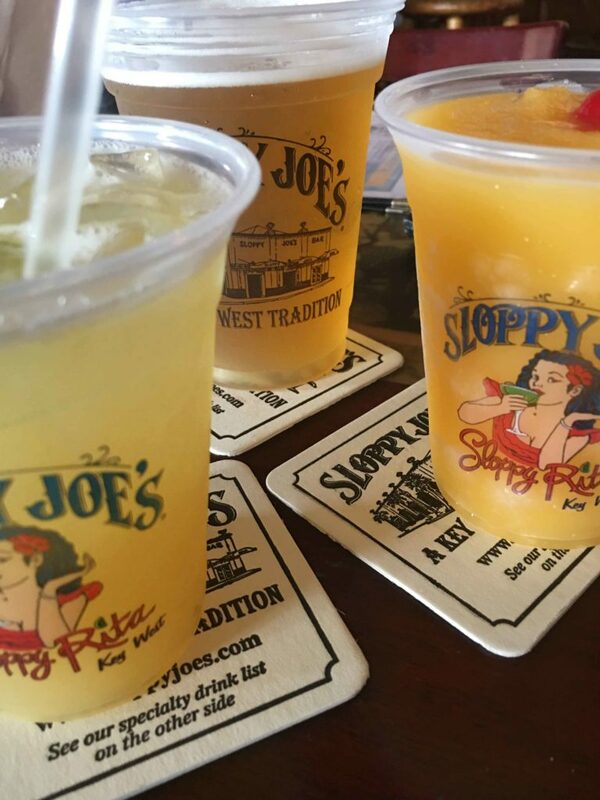 No matter where you sit, you will be immersed in the vibe that is Sloppy Joe’s. There are old historical touches still in place, such as the tile floors and Hemingway’s skis on the wall. The drinks are awesome. Sloppy Joe’s states they have a heavy pour, and trust me, based on personal experience, they are indeed heavy pours. Choose either a cold beer, a mixed drink or a house cocktail, you won’t be disappointed. The stage doesn’t stay empty too long. Throughout the day, you will have the opportunity to be entertained by local and traveling bands. Each having their own style, but all really good. 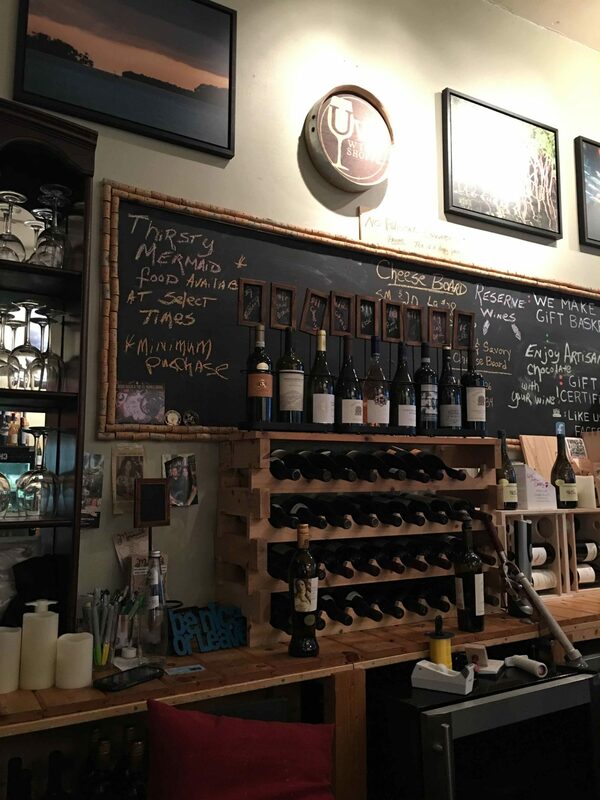 Here’s where you need to step out and try something new. The house drinks are some of the best in town. One of my personal favorites is the Sloppy Rita. This drink combines the flavors of tequila, Gran Gala, sour, orange juice and club soda into a refreshing drink that seems … sorta like a margarita, but better. Less sour and more refreshing. If you haven’t tried one of these, make this your first drink! But, even I can get stuck in a rut when it comes to ordering cocktails. You probably do the same thing, order certain drinks at certain places. I am here to tell you … stop. After a night of way, way too many gin and tonics I was looking for a drink that was refreshing, but not too tart or sweet. At Sloppy Joe’s I stumbled upon the Tito’s Texas Tea. This is now in my drink rotation. Made from Tito’s vodka, Razzamatazz and lemonade, it is better than any Long Island Tea you will drink. 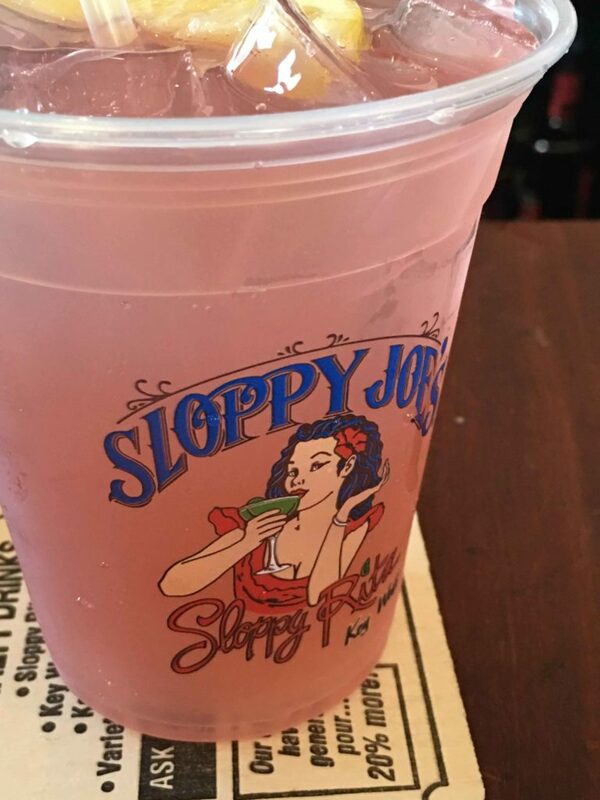 More than anything, Sloppy Joe’s is a place at the end of the world. 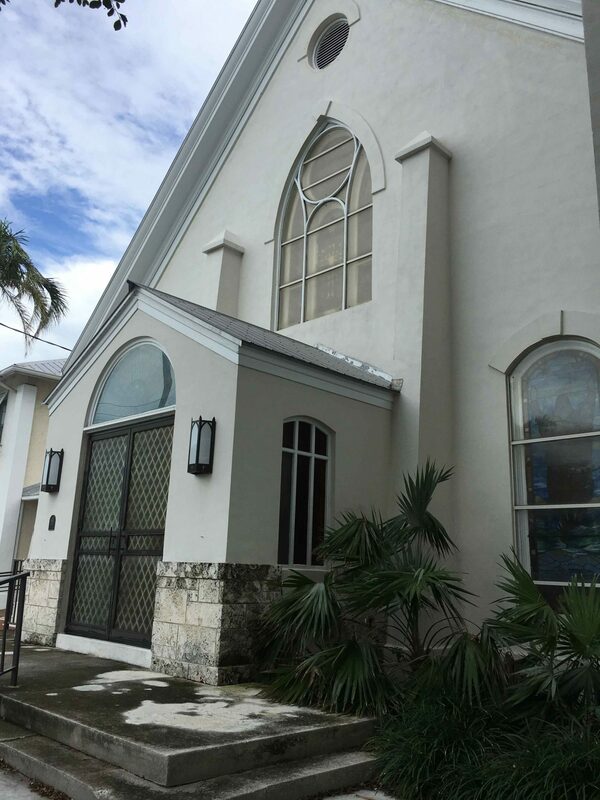 As you step through the doorway, you are transported back to Old Key West. On the surface it may seem like a touristy place, but don’t be fooled. It’s not. The food is great. Order the sloppy joe pizza and you will be hooked. What is a Sloppy Joe pizza? 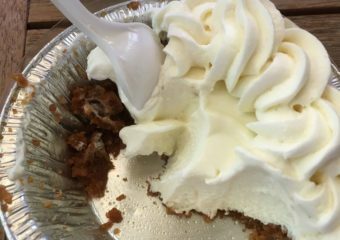 Imagine sweet sloppy joe mix on a pizza, topped with cheese and fresh tomatoes. Yep, it’s that good. This is a place people want to see, visit and spend time. 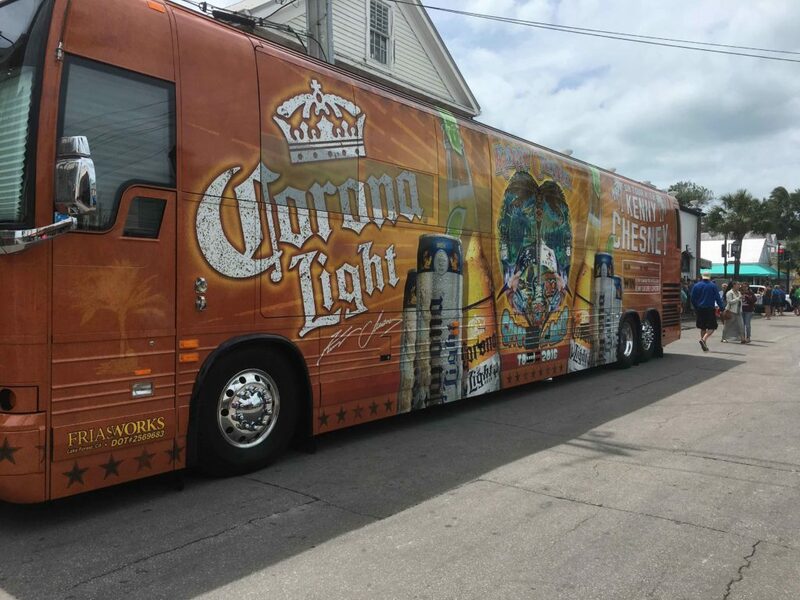 No wonder folks like Kenny Chesney choose this stage to launch records and entertain people. Even his rum, Blue Chair Bay Rum is featured in the bar. Order an Island Girl or a Drink at the End of the World and raise a toast to the band on stage. Honestly, don’t take my word about Sloppy Joe’s. Go there yourself. Sit at the bar and order a house drink. Watch the care each of the bartenders put into making these wonderful drinks. Order a plate or two of food. Listen to the bands. 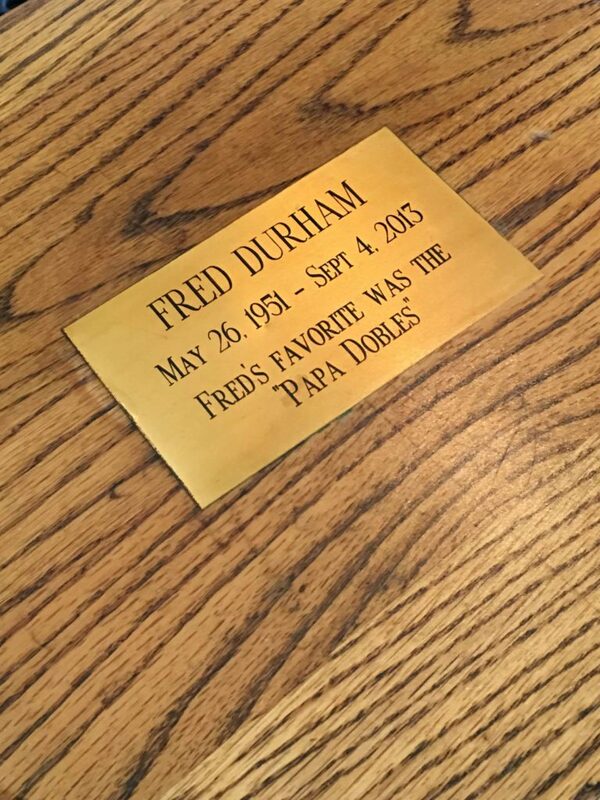 Look for a plaque by a stool honoring a lost local who loved the place as much as I do. No matter how many times I recommend visitors to Key West check this place out, they always look at me funny. Yeah, I know it’s touristy, but it’s Key West. Once you visit you will feel the same.